currently under construction at 5401 Alder Circle, Houston. Sales for available units range in price from $799,900 to $973,500. Alder Circle has a total of 13 units, with 3 quick move-in homes currently for sale. Sizes range from 3245 to 3718 square feet. 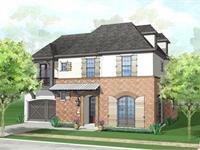 Wonderful new development of 13 custom designed homes in the City of Bellaire. Each home will have Lovett`s high end finishes, ECO-HIP designs and elegant exteriors. Alder Circle is located just off Bissonnet to the west of Chimney Rock. Your inquiry will be delivered to the Alder Circle sales team, who will send you more information about this development.